Start slapping slices on some white bread, because April 12th is National Grilled Cheese Day. 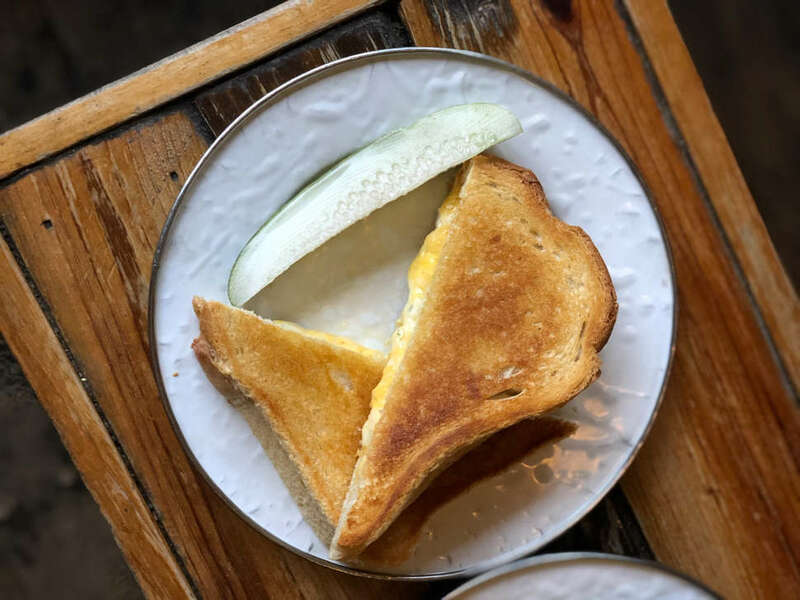 Whether you’re content with Kraft singles or know your local cheesemonger’s daughter’s safety school, the city has a grilled cheese sandwich for you. Let’s get one thing straight about grilled cheese: Even a mediocre one is still cheese freakin’ melted on bread. It’s delicious! There’s something supremely comforting about the cheap and greasy version, served with canned tomato soup and squashed by a spatula at your local diner or on your own stove. But this week -- since we’re celebrating! 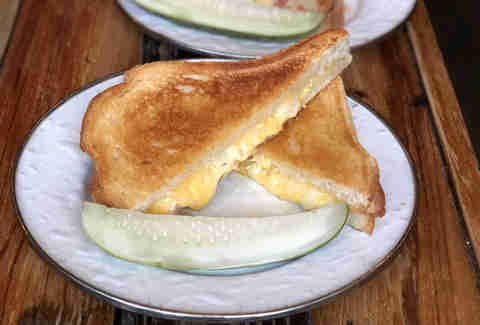 -- I’ve rounded up the five best-of-the-best grilled cheeses in New York. 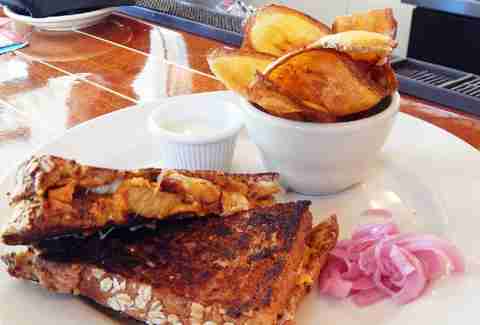 Although Indian might not be your go-to for grilled cheese, Rahi will change your mind. 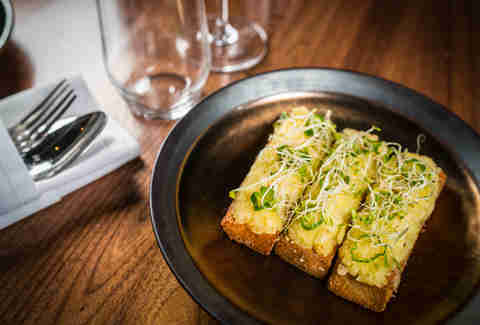 Its Chili Cheese Toast is an open-faced reimagining of the classic comfort food, made with Amul cheese (the flavorful Indian version of the heavily processed and magically meltable Velveeta) and toasted slices of sweet-ish, buttery white milk bread. A quick stint in the broiler and a topping of onions and green chilies give the dish a spicy, smoky kick. The craft beer experts at Astoria Bier & Cheese offer lots of grilled choices to pair with their brews, and the French Toast Grilled Cheese is the one to beat. Made with french toast, maple syrup, and a filling of Gruyère and salty pork rillettes, it brings the sweet-and-savory combo of tomato soup and grilled cheese to its logical conclusion. If you just can’t take that much sugar, try the Carlito’s Way -- with chorizo and honey-habanero spread -- which falls closer on this side of savory. 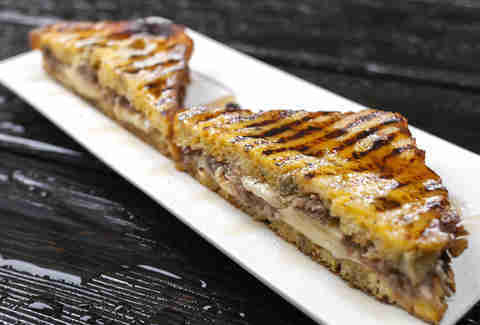 At Pilar, sharp cheddar and nutty Gruyère are layered with sweet plantains for a Cuban take on the humble grilled cheese. With slices of multigrain bread and a spread of house-made espresso mustard, the overall effect is complex, textured, and like no grilled cheese you’ve had before. You can order the sandwich with a side salad, but why stop now? Choose a side of plantain chips, instead, and go for the classic grilled cheese-and-chips experience. Want a grilled cheese, but also want to get wasted? Noorman’s Kil pairs a gigantic whiskey list with seven different types of grilled cheese. Choose from hot honey, Gruyère, cheddar, and bacon; apricot jam, honey, thyme, and chrevre; brie, mushrooms, onions, and rosemary; or a host of others, all on fresh-baked Orwasher’s Bakery bread. The bar’s open until 4am, so if you start drinking early enough you might just have time to try all seven. 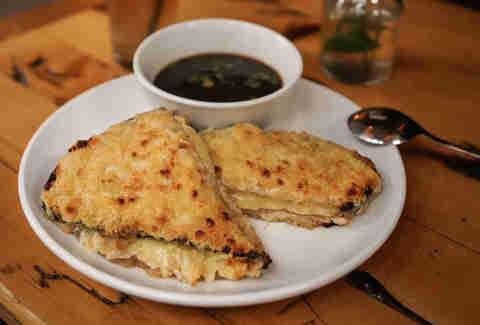 Mother’s Ruin’s French Onion Grilled Cheese is served with a small bowl of jus, making it the sophisticated Parisian sister of everyone’s favorite American after-school staple: Grilled cheese dipped into Campbell’s soup. This version is cheesy on the outside, stuffed with caramelized onions, and just as fun to dip into soup as you remember. Best of all? You’re a grown-up now, so you can pair it with a couple of cocktails instead of a tall glass of milk. Rachel Pelz is a Thrillist contributor.